Long before recorded time, the great glaciers slowly withdrew northward, forever changing the fate of humankind. 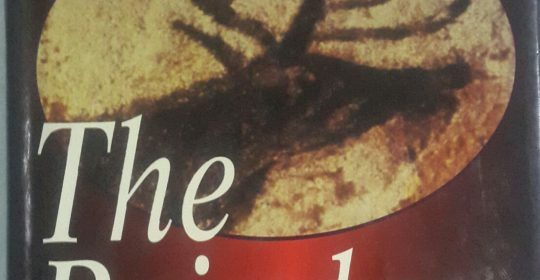 In a tale that vividly recreates this mysterious prehistoric era, a story begun in her shimmering epic Daughter of the Red Deer, Joan Wolf brings all the drama of those lost days to life. When dawn touches the River of Gold and light hits the fertile valleys of southern France, young men of the kindred and the Norakamo tribes traditionally raid each other’s horse herds. So it has been for generations, so some believe it must always be-until an unnecessary killing escalates these skirmishes into a blood feud. But full-blown war threatens the very existence of both tribes as barbaric invaders with a fearsome new weapon draw closer, following the reinder ito the Kinderd and Norakamo’s hunting grounds. In the face of this common enemy, a taboo-breaking alliance must be made, and to seal it a Norakamo chief’s daughter is promised in marriage to a Kindred chief’s son. So begin a passionate adventure as the proud, independent, and beautiful golden-haired Alane fights against her forced union with the tall, muscular Nardo-until she can no longer resist the yearnings of her heart for this extraordinary man. Yet her exile from her own people to live among the Kindred pits new loyalties against ancient blood ties, invites treachery, and ignites forbidden passion. But Alane and Nardo must confront their own intense ambitions. For if their marriage cannot last, neither will their tribes. Book available at Azaiki library, yenagoa.